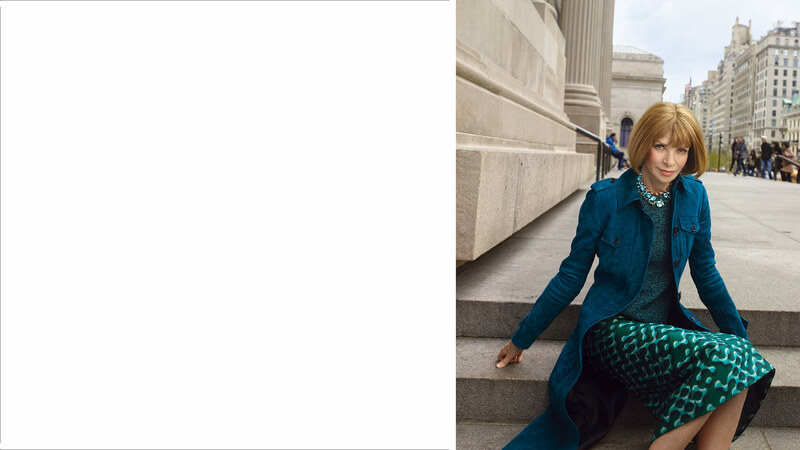 in conversation May 4, 2015 8:00 a.m.
On the eve of her largest exhibition yet at the Costume Center, the editrix sits down to talk about fashion, power, and anxiety. to talk about fashion, power, and anxiety. Wintour on the steps of the Metropolitan Museum of Art. The Anna Wintour Costume Center at the Metropolitan Museum of Art occupies a warren of rooms below the well-traveled mummies and sarcophagi on the north side of the building. It features an extensive library and a series of conservation spaces as spotless as a hospital, where dresses and shawls and shoes are cared for with the attention and precision of an ICU. It is arguably Wintour’s favorite place in New York City because she is, on some very basic level, a real nerd when it comes to clothes. The Costume Institute has been on a roll, with shows about Alexander McQueen and Charles James drawing record crowds to the museum. The idea to focus on China came with the opening of the Chinese markets to global luxury brands in recent years. Designers travel to Beijing to open a new store and then return home inspired. If much of fashion’s future is in that country, it seemed an appropriate time to look back and remember that there is a long history of Western designers drawing inspiration from the East. In January, Bolton and Wintour traveled to Beijing to announce the show at a press conference in the Forbidden City. Their reception was huge. “They wanted to know what we thought about feminism,” Wintour says. They were also interested in talking about climate change, perhaps not least because January in Beijing was unusually cold. “It was freezing. You just thought, God. Those emperors must have worn so much fur,” Wintour says. The size and scope of the exhibition are also a reflection of Wintour’s ever-expanding influence. Over the past few decades, she has been not just the editor-in-chief of Vogue but the editorial director of the fashion industry itself — the lobbyist behind countless initiatives, the maker behind endless matches and stars. In 2013, her responsibilities at Condé Nast grew further still when she became artistic director of the entire media company, leading it on a geographical move (to One World Trade) and making her way through a spiritual shift as well, from the page to the screen. Since then, the company has revamped, restaffed, and restructured a number of Condé Nast titles (adding to Wintour’s reputation for being feared as well as respected). And then, of course, there’s politics: Always a dabbler, in 2008 Wintour became a serious player, raising enough money for Barack Obama that when, last year, the Metropolitan Museum decided to name the Costume Institute’s space for her, it was Michelle Obama who cut the ribbon. 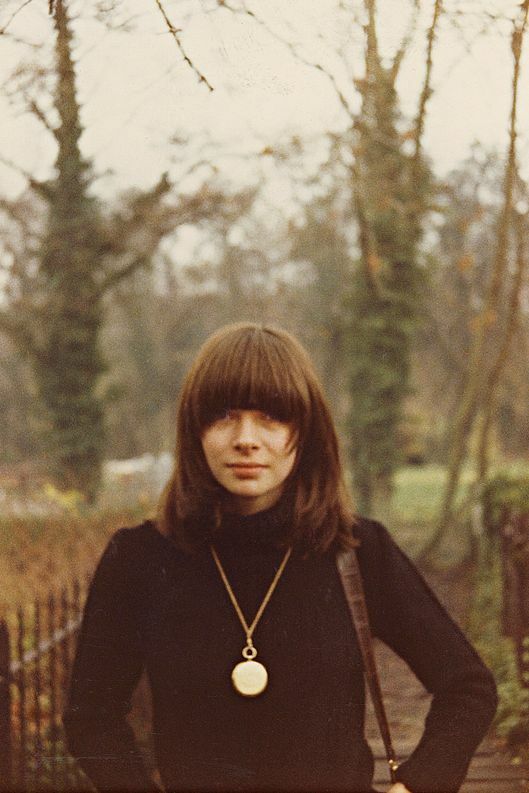 Anna Wintour’s fame is born not only of success but of performative silence. No one does mystery better than she, with that bob and those sunglasses and those thin arms folded across her chest. She is spectacularly controlled, extremely focused, comfortable with power, and preternaturally disinclined to misstep or misspeak. Perhaps this is precisely because she is not, and has never been, hugely giving on the topic of herself. She is happier to talk about designers she admires, the charities she supports, what makes a dress perfect, or anything having to do with theater or film. This, of course, only adds to the sense of curiosity about her. I briefly worked with Wintour in 2000, and she was briefly the fashion editor of this magazine in the ’80s. I sat down with Wintour both at the Met and at her airy 25th-floor WTC office last month for a talk. Right. Well, I’m sure I said that at the time. But I grew up with journalism. My dad was a newspaper editor. My mother was a film critic, and my brother is the political editor of the Guardian. Learning how to be editor-in-chief of Vogue wasn’t something that happened overnight. I don’t know if you know the story of how [my new position] happened? Chuck TownsendThe chief executive officer of Condé Nast since 2004. was at a conference and Karl Lagerfeld was being interviewed and he was talking about what he did at Chanel. And Chuck realized that since Si [Newhouse]Longtime chairman of Condé Nast, Newhouse is now 87, with an estimated net worth of $9 billion. had retired, we didn’t have anyone filling that role at Condé Nast. Obviously, at that date you quoted, I didn’t feel equipped, but now I felt that I had learned so much and that I could be a support. We’re moving rapidly into the world of digital, and we’ve had huge successes recentlyCondé Nast’s monthly digital audience is 76.7 million, which marks a 56 percent increase over the first quarter of 2014; Reddit, which is owned by Condé Nast, drives a third of its traffic.. I think it’s impossible to say what’s going to happen because it’s the Wild West. Things change. You walk on the street and get a Starbucks and things have changed by the time you come back to the office. How do you see the future of print? One of the things that I’ve started is that I ask various CEOs from different companies to come in and talk to the editors-in-chief and the digital directors about where they see media going and for any advice they can give us. About three or four months ago, Eric SchmidtExecutive chairman of Google. came in and he asked me whether the company still believed in doing Annie Leibovitz–type portfoliosWhich tend to be lavish, expensive, and in exotic locales., and I said, “Well, I think that it’s very important to make the print publications even more luxurious and even more special just to differentiate us from everything else that’s out there.” Print publications have to be as luxurious an experience as possible. You have to feel it coming off the page. You have to see photographs and pieces that you couldn’t possibly see anywhere else. I know you and Si Newhouse have always been close. What did you learn from working with him? You would call Si, and he would call you back wherever he was in the world within five minutes. He read everything and he remembered everything, and if I ever had a question like, you know, this is a beautiful, safe, traditional Vogue cover and then this one is maybe a bit of a risk, he’d always push you toward the risk. And it’s important to know when to go in a new direction. Obviously, you can’t do it all the time or it’s meaningless, but it’s important to be able to make that leap. Si certainly taught me that. This might be like asking you to choose between your children, but do you have a favorite cover? If I had to pick one, I’d pick my first Wintour’s first cover as editor-in-chief of Vogue, November 1988. because it was a leap of faith and it was certainly a big change for Vogue, where, month after month, you had beautiful images but very familiar. I honestly don’t remember who the girl was, but the [Peter] Lindbergh shoot came in and it was just so vibrant and alive and it was just very joyous but it wasn’t perfect. The covers previously had been super-perfect and, you know, I remember people asking me if she was pregnant. And her eyes were a little bit closed. But it just felt very inviting … I see that [on the Cut] you were posting my old work [from New York Magazine]As part of a project called “It’s Vintage,” the Cut published some of Wintour’s fashion spreads from when she was at New York Magazine in the ’80s.. I was not thrilled with what you chose. 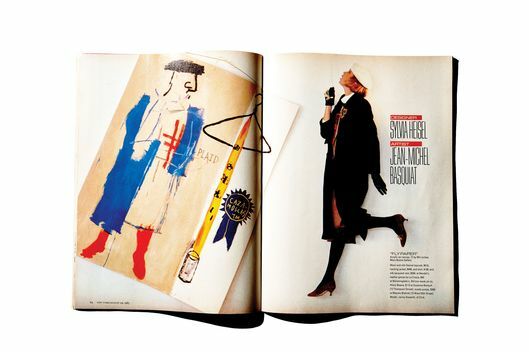 Wintour’s collaboration with Jean-Michel Basquiat for New York in 1983. Oh, no! So tell me what your favorite pieces were when you were the fashion editor at New York. This was in the early ’80s. I’ve always been interested in art and fashion, and I asked ten or 12 different New York artists to paint [inspired by an outfit] and then we photographed a model wearing the actual outfit and I’m not going to remember all the details now but it was really fun. There was one artist, who will be nameless, whose painting came into the offices and it was 100 percent pornographic. We were more prudish then! But this one — this was Basquiat. He did a couple of pieces for me when I was creative director of Vogue and they arrived on pieces of cardboard and I’ve always wondered where they went. You’ve said Skylight is your favorite play. Have you seen anything else great lately? HamiltonAfter a sold-out run at the Public Theater, Hamilton moves to Broadway in August. was spectacular. To think that Lin-Manuel Miranda just sat and read that book and thought, I’m going to turn this into a rap musical. Who thinks like that? It’s genius! It was so engaging, and the night I saw it, the audience was sort of talking to them onstage and they didn’t seem to care. There was just clapping right in the middle of a song, talking. It was inspiring. Oh, Homeland, Game of Thrones, which has just set the bar so high for everybody. I wonder how much one of those episodes costs! The costumes are so good. But I don’t watch Mad Men. I can see that it’s wonderful, but it’s so depressing. Or House of Cards. Everyone is so evil! There’s no one to root for, and you always want to root for somebody. You seem to have developed a very close relationship with the First Lady. It’s been wonderful, from the fashion industry’s point of view, to have a First Lady who’s so supportive of our industryDuring her husband’s 2013 inauguration, Michelle Obama wore clothing by five different American designers in 24 hours.. I think previously, with the exception of Mrs. Kennedy, Washington has been a little wary of fashion and what it means. I think there was a mind-set down there that being interested in clothes and fashion and how you look might equate you with not being a serious person. But she’s been a real force for fashion without in any way not being interested in so many other things. I know that in 2008, Hillary Clinton balked at the idea of being in VogueHillary Clinton infamously pulled out of a Vogue shoot, reportedly fearing she might look too feminine or glamorous..
Everyone’s completely entitled to make their own decisions on the public appearances they might make. I think that Secretary Clinton was in the magazine after that. I understand that politicians have certain parameters and that’s, you know. They — they have their needs, and we understand and appreciate that. Will you be supporting her? I hope so! Of course. Yes. But it’s only just started! But it’s everywhere. Hillary at Chipotle! I mean, get a grip! It’s a fast-food chain! Do you think the media coverage will be like this the whole time? There’s been so much discussion about when she was going to declare that I think people went overboard and I’m sure it will settle. I’m sure your office will soon start to talk about where you’re going for your summer vacations. Normal things. So what are the things, apart from where Hillary Clinton’s going to be eating her lunch, that you’d like to see talked about this election cycle? Obviously gay rights, although I feel that’s a case that’s well on the way. It’s incredible how it’s changed in, what, five years? It’s unbelievable how the mood of the country has changed, and I feel like politicians have been playing catch-up. It will be interesting to see how the more right-wing Republicans deal with it. Did you see Ted CruzTed Cruz, who recently introduced an anti-gay-marriage bill, co-hosted a dinner at the Manhattan home of two prominent gay businessmen.? It’s beginning! I guess he wants their money! And I’d like to see more conversations about gun control. We ran a piece in the magazine about Mark [Kelly] and Gabby [Giffords] but I think after Newtown, the country’s interest was so heightened that we all felt there would be a sea change in the whole issue and somehow that hasn’t really happened. Politically it’s very tricky territory, and obviously the NRA is a very powerful lobby, but I remember a 3- or 4-year-old getting their hands on a gun and shooting their mother and I don’t understand how guns could even be anywhere near a child. It’s just insane. Are there other issues you are involved with? There are so many causes, Amy, that you care about, but one can’t change or take on the world, so one has to really focus on where you feel you can, to use a very overworked phrase, truly try to do something to make a difference. The Youth Anxiety Center [at NewYork-Presbyterian–Columbia]David Shaffer, Wintour’s ex-husband, is the founding director of the center. focuses on young people who suffer from severe anxiety or depression, like from their late teens to their mid-20s, which is a very dangerous age for that. I was talking with my tennis pro this weekend, whose real job is a math teacher, and I was telling him that one of my nephews is coming over here to spend his gap year working in the States and then going down to help build homes in South America. And he was telling me that he wished that more kids in this country took a gap year, because he said it was a very high percentage of schools in Long Island whose kids left high school and went to college and after one year came back because they simply can’t cope. They just can’t cope with it. And the stories that you hear … I heard a story just the other day about a kid that went off to college and stayed in his room the entire semester because he couldn’t get out of bed, and the college never told the parent. I think mental health is an area where people are embarrassed … They don’t want to talk about it because somehow they feel they’re a failure as a parent or, you know, they’re embarrassed for their child or they want to protect their child, lots of very good reasons, but mental health I feel is something that you have to talk about. That time from 15 to 16 to your mid- to late 20s — you look grown up, people think you’re grown up, but you’re still a kid. What do you think is behind all the anxiety among young people? I ask myself that a lot, and I think because of this mass of information coming at young people, plus the way they talk to each other online and how vulnerable they are at that age. It just has to make people anxious. How could it not? It’s such a barrage of information coming at them every which way. I’m so grateful for Lena DunhamLena Dunham said in a 2014 Vogue profile: “I had really bad OCD. I was really lonely at school. I felt a lot of shame.” and Emma StoneEmma Stone, in her Vogue profile, talked about her first panic attack at age 8: “I was just kind of immobilized by it.” , who are out there talking about these issues and making young people realize that they’re not alone and that it should be talked about. Do you feel any responsibility in terms of how the media might contribute to these problems? Obviously, in terms of Teen Vogue, Amy [Astley] is so careful and we talk about it all the time. With Teen, we are careful to make sure that the images are not going to be upsetting to young women or threatening to young women or presenting an image of young women that could in any way be misconstrued. Have you read the Sheryl SandbergSheryl Sandberg was profiled in Vogue in 2010, after she became COO of Facebook. book? Lean Me? Lean In? Yes. I think that maybe the way things operate out in Silicon Valley is a little different from the way … Maybe we’re very spoiled, Amy, living and working in our industry in New York, because from my personal experience I’ve never felt held back or differentiated against. Maybe I’ve been very lucky … but I really can’t think of a serious incident that I’ve had to deal with on a professional level. How about having a family while having a very demanding career? How has that been for you? I think it’s very important for children to understand that women work and that it’s fulfilling and it doesn’t mean that they love you any less or care about you any less. Do you have children? Well, you know. You make the time! You go to the games and you go to the birthday parties and you’re there for the times that count, but I also think from your daughters’ perspectives and I hope from my kids’ perspectives, they saw how rewarding and fulfilling working was. I think it’s important for kids to understand that. I’m sure that it’s equally rewarding and fulfilling for women who chose to stay at home and take care of their kids, but it just wasn’t a choice that I made. Of course there were times, particularly when you travel, when it’s very tough to leave the kids, particularly when they were very young. I would try to take them with me when I could just so they could experience and see a little bit of what a workday involved. I always made a point of talking to them about what I did and introducing them to people I worked with. You seem to bring them with you a lotWith daughter Katherine “Bee” Shaffer in the ’90s..
Yeah! So you’re not just going off to another world that doesn’t include them. And I’m not trying to be dismissive with this; of course there were times when it was difficult. But it’s the way we all live today and it’s not changing. I don’t think of myself in that way. I get up every morning, Amy, and I, you know, work out, I go to work, I try to do the best job I possibly can, whether it’s for Condé Nast or for the museum or anything else that I might be involved in, but you know, I’m not thinking, I’m an icon. I hope that I set as good an example as I can, but it’s not — I don’t wake up in the morning thinking, I’m going to set a really good example today! You’ve managed to be both a public and very private person simultaneously. Privacy is kind of up for grabs lately. People really enjoy putting their whole lives out there. Look, social media has changed the way we look at everything, and I think it’s amazing and incredible and fascinating. Obviously, there’s a voyeuristic quality to it, but I also think it’s quite human and it’s a way of sharing and talking and, you know, maybe it’s a little bit less about talking on the phone and more about sharing your life through social media, and I don’t criticize it at all, Amy. I think it’s fascinating and fantastic and wonderful, and I think it’s another way of keeping in touch, and it would be ridiculous to not embrace it. It’s just not personally something that I choose to do. Sure! Of course I do. I follow my daughterBee Shaffer, who has 55,500 followers on Instagram, works as a producer for NBC’s Late Night With Seth Meyers.. I follow Mario TestinoTestino has been shooting for Vogue for more than 30 years.. But it’s not something I choose to do for myself. I’m out there quite enough as it is. Do you give your daughter advice on how to navigate it all? She doesn’t need my advice! She’s quite independent and quite remarkable. The young women that I’m lucky enough to know seem very empowered. It’s really wonderful to see. Do you see yourself as a role model for them? I try to do the best job that I can, I try to be the best mother that I can, and if for some reason there are people that are offended by things that I’ve done or things that they’ve read that may or may not be true, I cannot spend time … You can’t be everything to everybody, and there are things that get into the public world that were never grounded in reality. My dad. And this was way before the internet. He was a brilliant editor, he cared passionately about his work. He adored the theater, he adored tennis, he was a wonderful dad, and I think, because he worked quickly and was decisive and he was sure about what he wanted, he got a nickname. Chilly CharlieFrom Charles Wintour’s obituary in the Guardian: “He was a kind, publicly quiet and courtly man with a sharp pen and a sharper private tongue.”. He was the least chilly person that I or that anyone at home knew, but it stuck. It was mentioned in his obituaries. Maybe it’s what you get for having Wintour for a last name. For both of you. It’s out in the public perception. And what can you do? Smile.